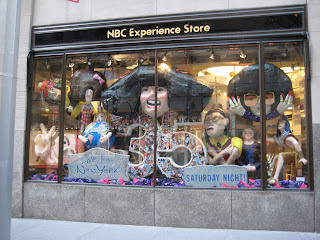 ...it's a window full of papier-mâché SNL characters at NBC. 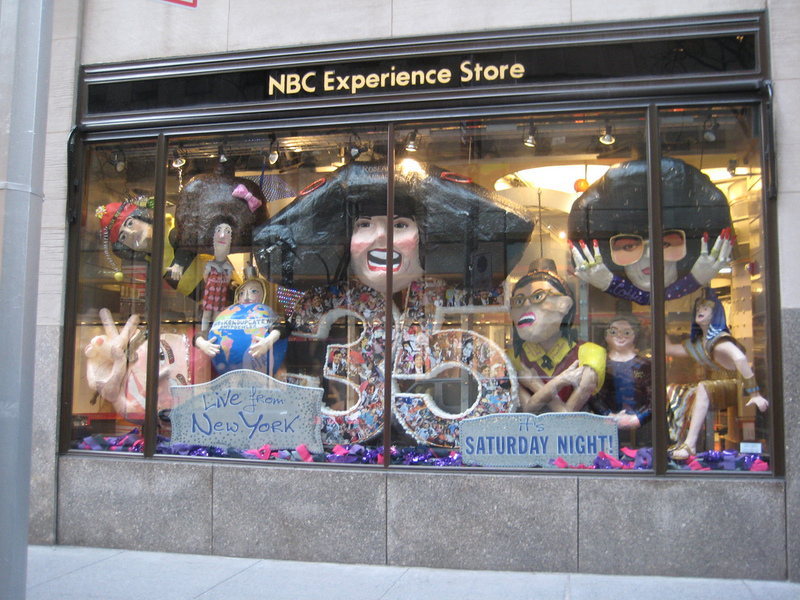 Among others, there's John Belushi as a killer bee (top left), GIlda Radner as Roseanne Roseannadanna (top center), Mike Meyers as "Coffee Talk"'s Linda Richman (top right) and Steve Martin as "King Tut" (bottom right). And for the record, '70s papier-mâché Steve Martin...much, much funnier than present-day Steve Martin. * In crafting this caption, Erik avoided going for the obvious joke and pointing out that the "Live from New York" and "It's Saturday Night!" placards look like, ahem, headstones.